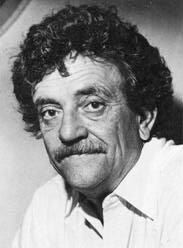 Gary's Literary Favorite - Kurt Vonnegut, Jr.
My Favorite Literary Figure - Kurt Vonnegut, Jr. This is Kurt Vonnegut, Jr. He is my favorite contemporary writer, only surpassed as my favorite writer of all time by Mark Twain. I have read all of Mr. Vonneguts books and have re-read several of them. My Masters Degree thesis was entitled Coexisting Tenses in the Novels of Kurt Vonnegut, Jr., Morgan State University, 1977. Please note that this site is till under construction.